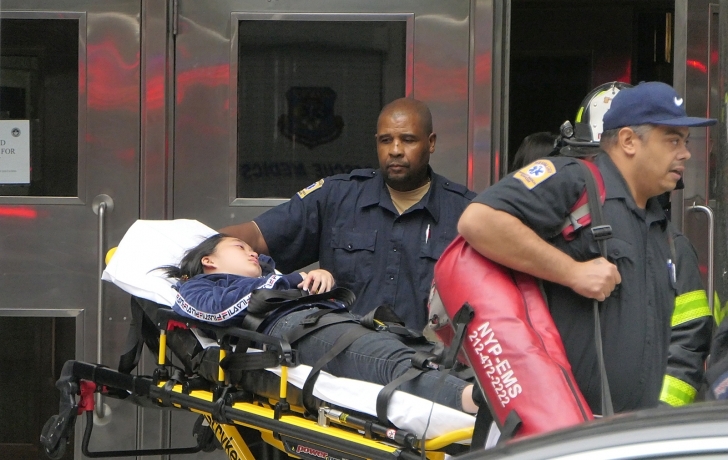 Ten Stuyvesant High School students were injured Thursday afternoon shortly after school ended when the escalator they were riding malfunctioned. Two of the students were taken to hospitals; none of the injuries were life threatening, according to the FDNY. Students interviewed said a down escalator suddenly sped up, causing one student’s foot to be caught in the mechanism and hurting others when they were thrown. “I saw one of the kids, they were just lying on the ground in front of the escalator and they had a bloody head,” said a student who did not give her name, adding that she could not tell whether the student was conscious. Caleb Weddle, also a student, said he saw “four or five” kids lying down or sitting up on the floor. “The one who looked the worst was lying down and he had his hand on his head,” he said. Miranda Barbot, a spokeswoman for the Department of Education, called the incident “serious.” “We’re providing the school, students, and families with additional support and will conduct an investigation,” she said in a statement.